Patrick painted a box as a Mother’s Day gift for Sherree’s mom, but wasn’t content to just paint the box. You can see that he splattered it on the tray and his chest, brushed it through his hair, and finally decided to taste it. 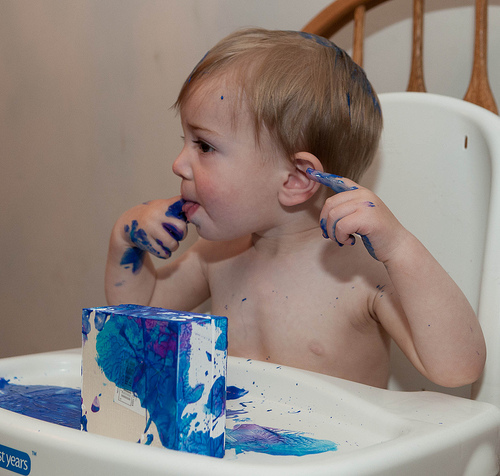 …And this is why we only paint just before bath time!